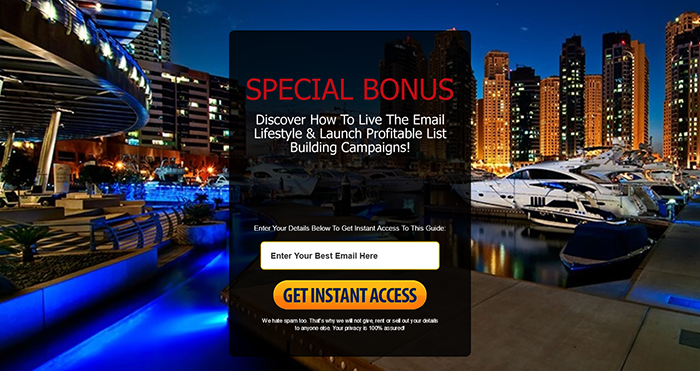 Before You Gain Access To List Building Expert..
Make Even More Money And Keep 100% Profits! Are You Planning To RE-SELL 'List Building Expert' as your own product? If you pick up this offer, you'll get the exact sales funnel which includes the squeeze page, the thank you page, the giveaway videos, the email follow up series, the banners & ad swipes, and this one-time offer page so you can build your list and make even more money from this package. This will allow you an easy way to generate targeted leads and make 100% of the profits every time someone buys this offer! You'll be able to give away Personal Use copies of the Email Sales videos and then immediately sell PLR rights to the complete package over and over again at WHATEVER PRICE YOU WANT and get paid instantly! Plus you can UPSELL to the "one time offer" using your copy of this ready-made page, and make even more money, the choice is yours! Grab The Complete List Building Sales Funnel Kit And Get This Professional Squeeze Page! Once you upgrade your package, you'll be able to download the complete sales funnel kit, along with step-by-step videos that show you how to setup resell rights sales funnels quickly and easily! You won't believe the investment...only 50 30 of these packages will be available at this price. 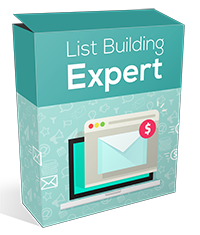 Make your move today and upgrade to the List Building Expert Sales Funnel Kit for only $5.00! ...you won't regret it. Remember, you'll be able to earn instant PayPal payments for every sale you make! Just one sale pays for itself and you can sell an UNLIMITED number of copies! I understand that by making my purchase now, I'm locking in the lowest price available and that I'm covered by your "risk nothing" guarantee! access to the complete sales funnel and bonus videos. P.S. I've done everything in my power to make this easy for you. Once you setup your own sales funnel for List Building Expert, all you have to do is give away the videos to build your list (or sell it!) and keep all the profits! P.P.S. This is a strictly limited offer for new customers only. You have only this ONE opportunity. Be sure to upgrade now while you have the chance. You will not see this offer again, remember...this offer is only good right now!